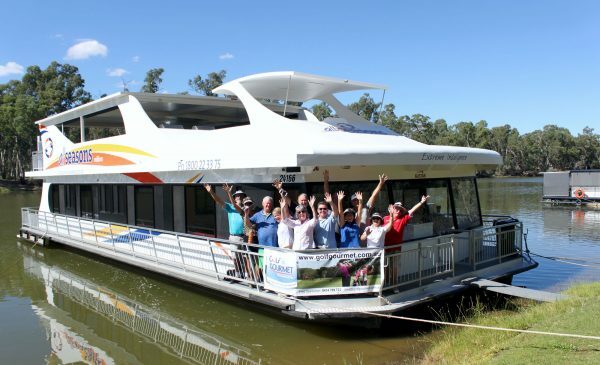 If you’re looking for a unique adventure that combines fantastic golf with the calm and relaxing character of houseboating, then Golf & Gourmet’s Murray River Magic might be just the ticket for you. Golf & Gourmet Founder and Principal, Fred Sparksman, a 48-year tourism industry veteran, launched Murray River Magic five years ago and has escorted over 25 trips since the program started. There is little doubt that the houseboat adds to the golf tour experience. All cabins have en suites, are air conditioned and have cable television. The lounge area is spacious, air conditioned and the kitchen ensures tasty food along the way. On the upper deck the 10-person spa helps soothe the weary bones after golf. Food on board is provided by way of a kitty system which Fred used during his overland tour leader days back in the 1970s. Each guest pays $150 into a kitty. The funds are accounted for by a guest. Generally the first night on board includes eye fillet steaks from Naz Tassone, who provides product to the Celebrity Chef, Stefano de Pieri, which sets the tone for food quality on board. Past guests have visited Naz’s butchery to purchase goods to take home. The tour leader can shop every day to ensure there are ample provisions to eat and drink. Local skippers like Leon Wagner, who has been on the river over 60 years, navigate the 25m houseboats along the Murray River, highlighting the many points of interest, wildlife and history of this essential waterway. The program is flexible, guests can choose to play four, five or six games of golf during the week. One less game of golf often means there is time to cruise upriver to Trentham Estate Winery and the majestic Red Cliffs. The golf courses are all excellent country courses with very different obstacles, from being riverside to a true red earth and mulga topography stitched together by green fairways and grass greens. A highlight of golfing in the area is the very friendly nature of the local club members who welcome visitors. Golf & Gourmet also offers golf touring worldwide. 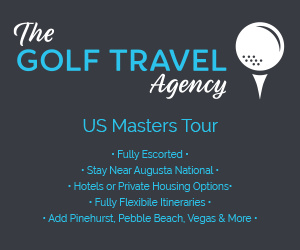 As one of the first Australian Golf Tour Operators to qualify to join the International Association of Golf Tour Operators, Golf & Gourmet have local contacts globally to assist in developing a quality golf tour product. Their extensive knowledge of the tourism industry ensures they can customise a golf tour, with extra sightseeing, dining and leisure activities to suit a single person or a group of 50. Use their expertise to make the most of your next golfing experience. Consider their scheduled trips to Vanuatu, New Zealand, Norfolk Island, Sri Lanka, USA and many other destinations. In 2018 Golf & Gourmet celebrates its 10th Birthday and a lucky Inside Golf reader is going to receive the present: A trip for two people on their most successful program: the Murray River Magic in a twin/double en suite cabin departing Mildura 30 April (prize value: $3460).